Pretty much all of my creation and communication tools can now be found online, so it should come as little surprise that ebook making tools can be found there as well. PressBooks, an Epub creation service, has just announced that they are going open source. Sometime next month they plan to release a WordPress plugin which offers much the same ebook making ability as their service. The plugin will be free, and you should be able to install it on a stand-alone WordPress-based website. A self-published author should be able to install the plugin on their home blog and use the one site for both blog posts and making ebooks. The skill level required will probably not be all that great, and while using Pressbooks requires learning a few new tricks it doesn't take that much more ability than what is needed to write a blog post. PressBooks itself is running in WordPress. Its creator, Hugh McGuire took the existing WordPress design and modified it from a setup which is designed to automatically publish content to the web to a setup which automatically creates ebooks. 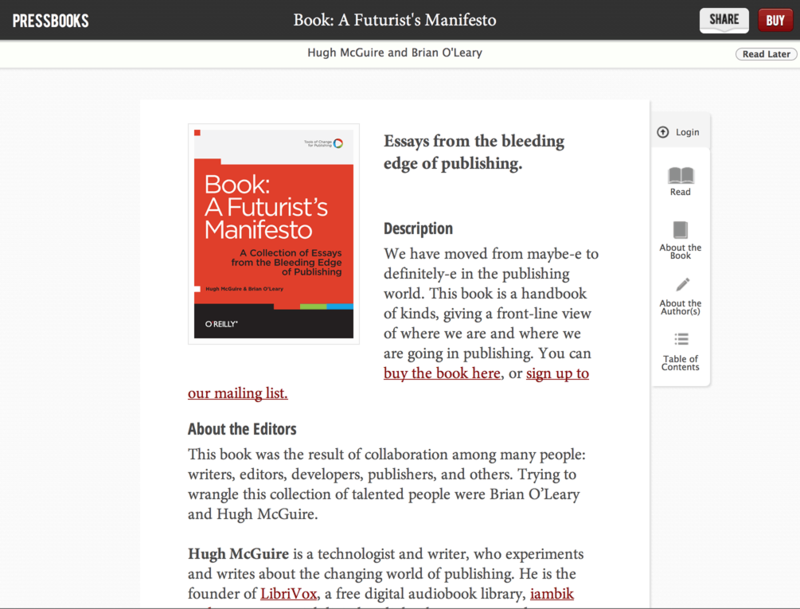 This won't be the first WordPress plugin which lets you make an ebook out of your blog posts. There are at least 2 that I know of, Anthologize and Epub Export. I've use the former for about half an hour, and that was more than enough time to know it was crap. It didn't work well, nor has it been updated in the past year. I've just now heard of Epub Export plugin while gathering details for this post, so I cannot comment on it. But it looks interesting.